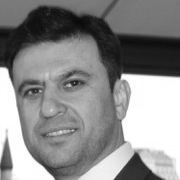 Nasir Shah is a Consultant Orthopaedic Surgeon based at Warrington and Halton Hospitals NHS Foundation Trust. He exclusively deals with with the disorders and fractures of the hand and upper limb. Nasir’s practice includes the management of nerve entrapments (carpal tunnel syndrome etc), trigger fingers, ganglions, dupuytrens disease and arthritis of the hand and wrist. He also performs finger joint replacement and wrist stabilisation surgery. Nasir undertakes arthroscopic surgery of the shoulder for impingement syndrome, frozen shoulder, shoulder instability as well as arthroscopic rotator cuff repair. He also performs shoulder replacement surgery including reverse shoulder replacement. Nasir is also competent in complex upper limb trauma.